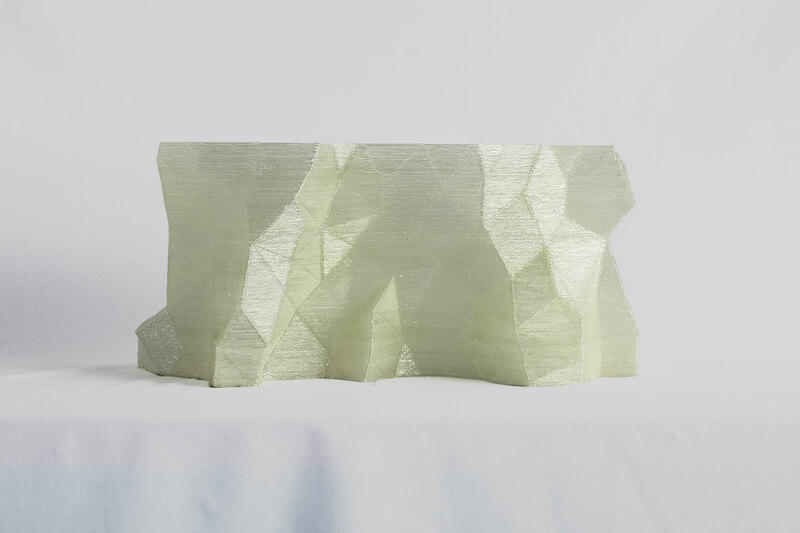 Research, design and development of systems and parts, from concept to production phase, combining digital manufacturing and traditional technologies. Consultancy for all additive manufacturing technology, research base programs and technical economic evaluation. 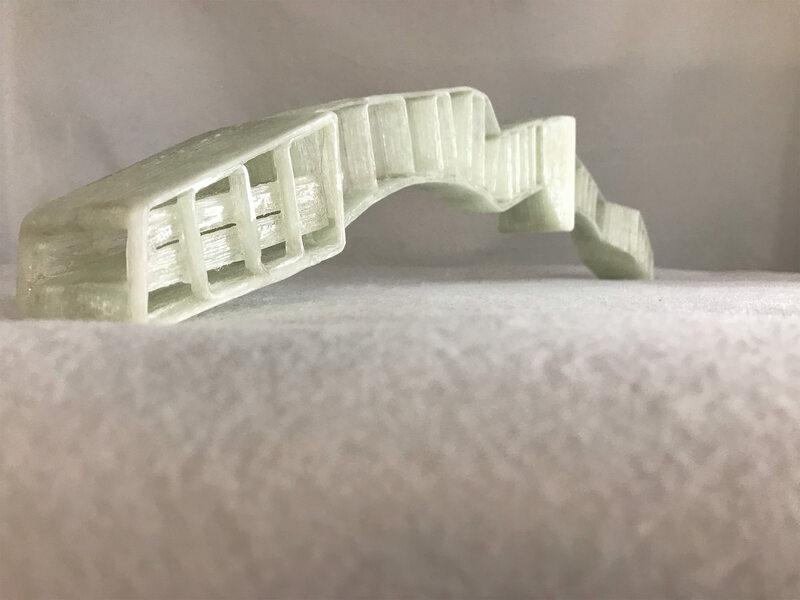 Manufacture objects as one-off parts or small series combining our proprietary process with other additive manufacturing technologies or traditional manufacturing processes. To present the technology and its applications in Paris, after winning the 2017 JEC Innovation Award, moi produced a series of propeller blades and turbines of different sizes. 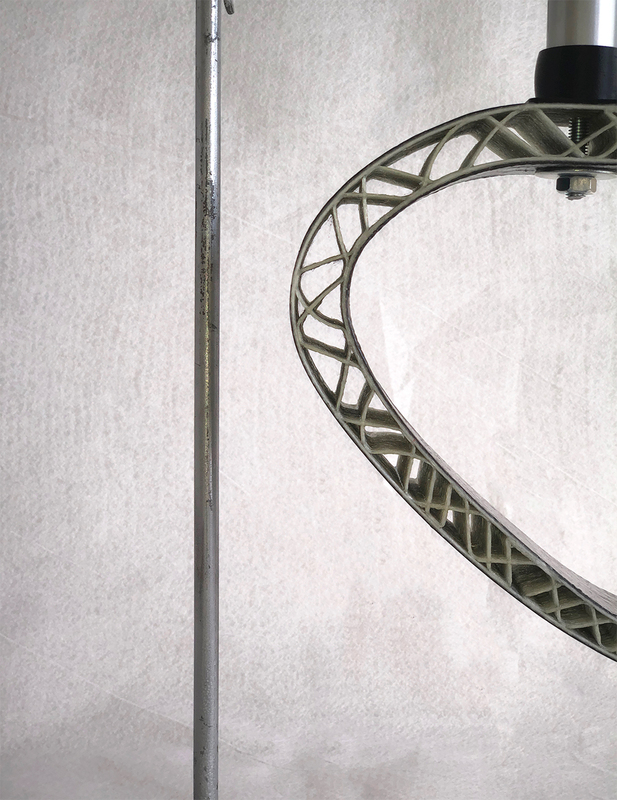 The propeller showed in the video exploit the potentialities of using a robotic arm, by aligning fibers in different direction to maximise the performances of composite material. “Superior” is a lower limb running prosthesis made with moi during a thesis work at +LAB with the aim of exploiting the potentialities of the fiber optimization algorithm. The algorithms have been used to obtain a desired elastic behavior, typical of running prosthesis, and specific to the athlete requests, that differ one from another, while reinforcing the device in its most stressed parts. 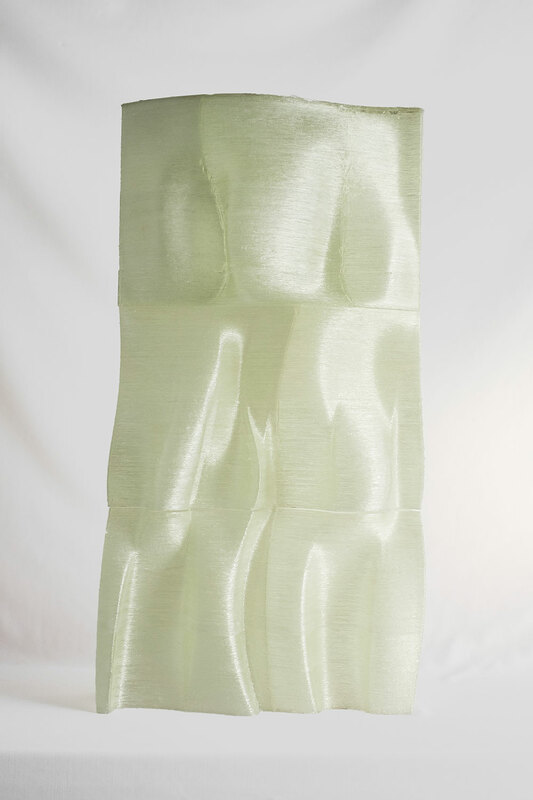 This case also showed the possibility to combine traditional manufacturing with moi’s digital technology, using the glass fiber optimized 3D printed core, in order to remove the expansive cost of the mold and realizing structurally efficient internal geometries, and finished with carbon fibers plies laminated using the traditional vacuum technique. 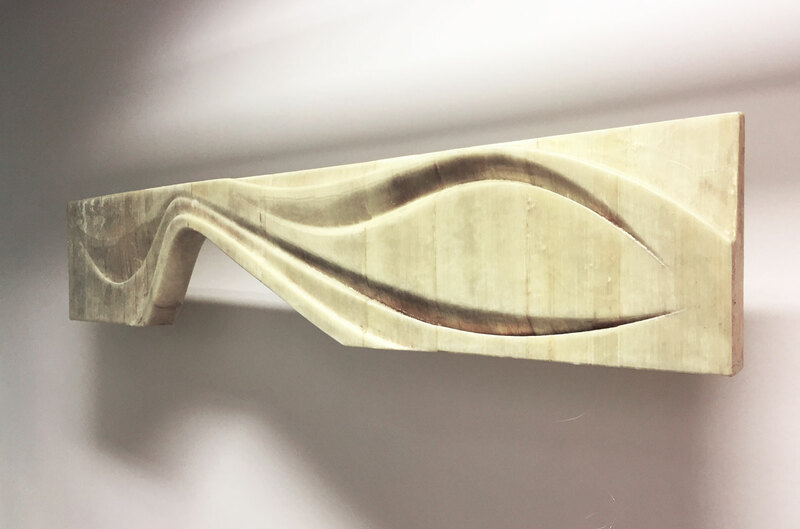 For specialty applications, fiberglass architectural elements are fast becoming the first choice among building owners and architects. Moi's technology is able to realise parts one different from the other with shapes, today, unobtainable. 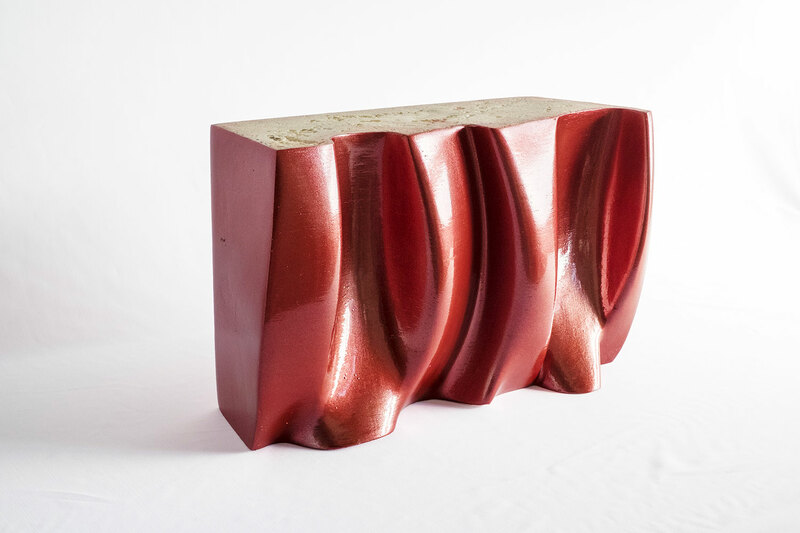 In architecture, the cost of a mould is almost never justified since buildings are the quintessence of tailor-made and unique productions. Applications can include facade cladding, furniture, retail and much more. 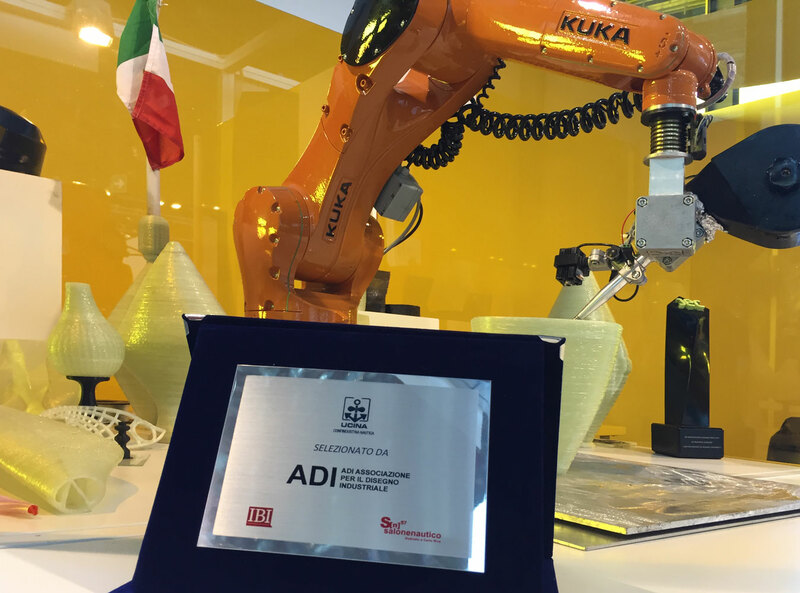 During the 2017 Genova International Boat Show, as a live demonstration of the technology, moi printed a collection of different buoys that led to the winning of ADI accessory prize. 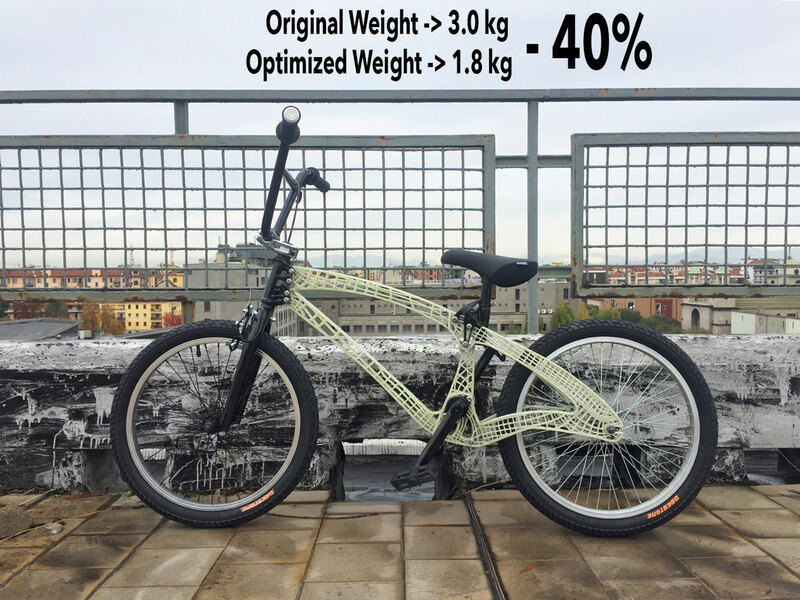 The first outcome of the collaboration with Autodesk has been a BMX frame designed by moi and optimised to reduce its weight by 40%, from 3.0 kg to 1.8 kg, compared to the original steel frame. The bike has been 3d printed using continuous glass fiber composite material, maximizing all the potentialities offered by 6 axis robotic arm. 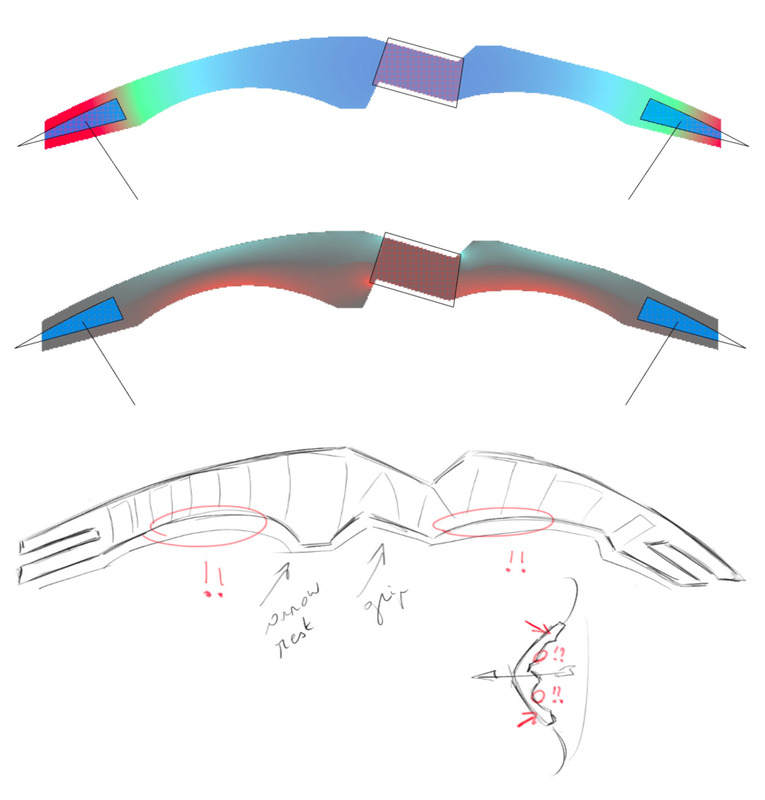 In particular in the back part of the frame the fibers are not deposited in a parallel to plane manner, layer by layer, and therefore achieving the best structural solution to exploit the anisotropy of material as shown in the video. 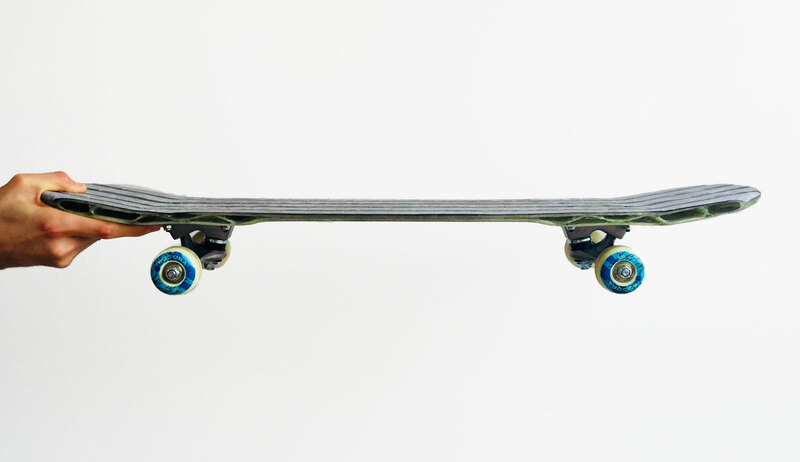 The same process has been applied to a skateboard, allowing it to flex in its central part and be rigid where the trucks are collocated. Cavities for the screws have also been predicted and a reinforcement has been designed accordingly to the higher stresses. 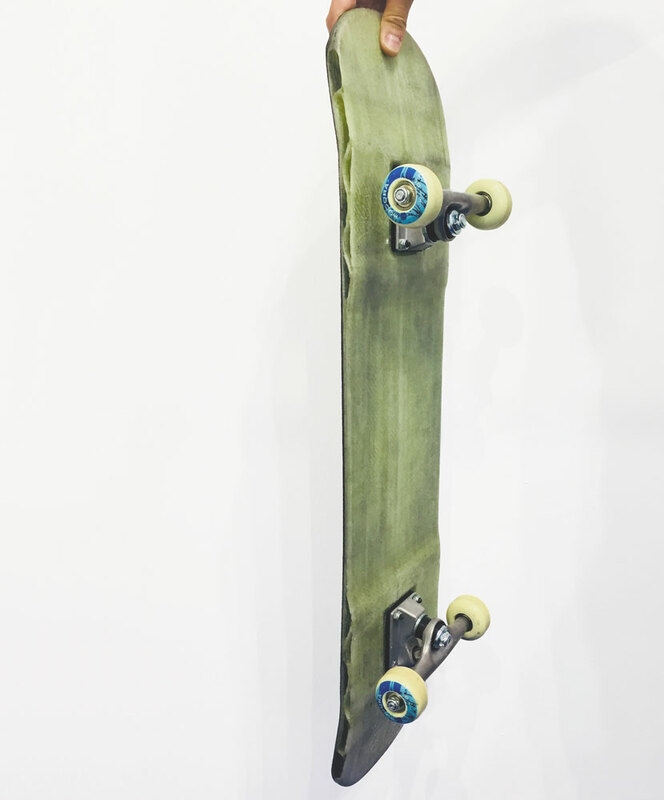 The skateboard has been showcased and used during the Technology Hub and Plast exhibitions and is another example of personal, on demand, high-performances part that moi’s technology is able to produce. 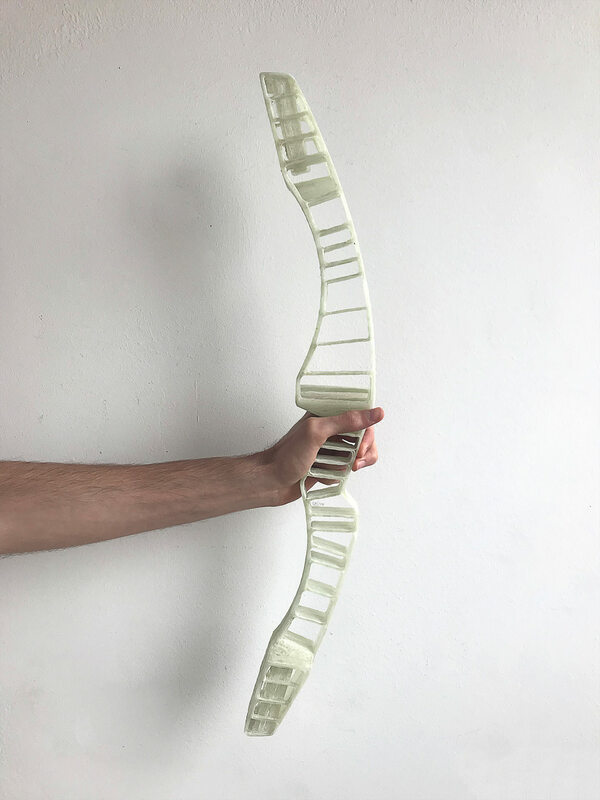 The riser has been designed and realized by Alberto Riganti during his thesis period at moi and +LAB in the Politecnico di Milano University. After a meeting with a riser's producer, selling products throughout the world, we decided to focus on the optimization and realization of a riser, exploiting the potentialities of CFM technology compared to the traditional manufacturing processes. A research was conducted to observe the parts of the riser more subjected to stress. It was decided to design a squared s-shaped infill, denser in the most stressed regions, enclosed in a double perimeter on the side facing the archer and a single perimeter on the opposite. 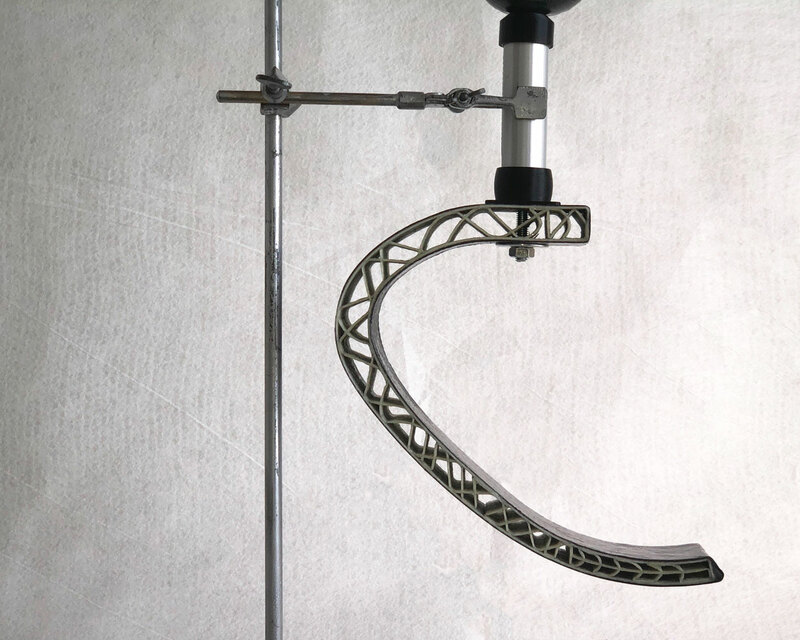 The riser has been printed in one single part thanks to the ability of depositing fibers in mid-air without the need of a massive supporting structure, as shown in above picture, in correspondence of the limb pocket where the circular path and the above s-shaped reinforcement have been printed with no supports at all. The forces concentrate in the limb pockets, where limbs, tending to slide out due to shear effects, induce the deflection of the riser towards the archer. 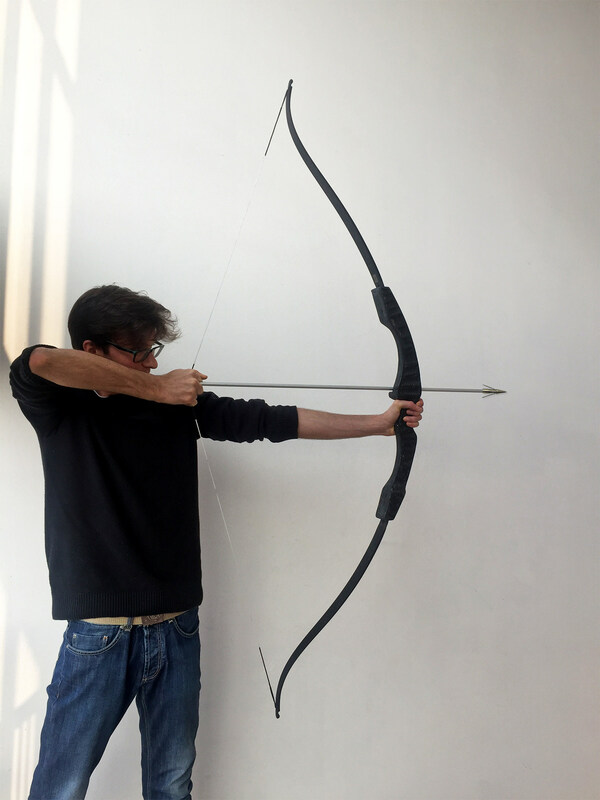 According to the manual of Hoyt (Hoyt Archery), a reference point for archery products, a draw weight of 152 N, that is the force applied by the archer when drawing the bow, is suggested for a riser of 25” with long size limbs, as those used in this case. 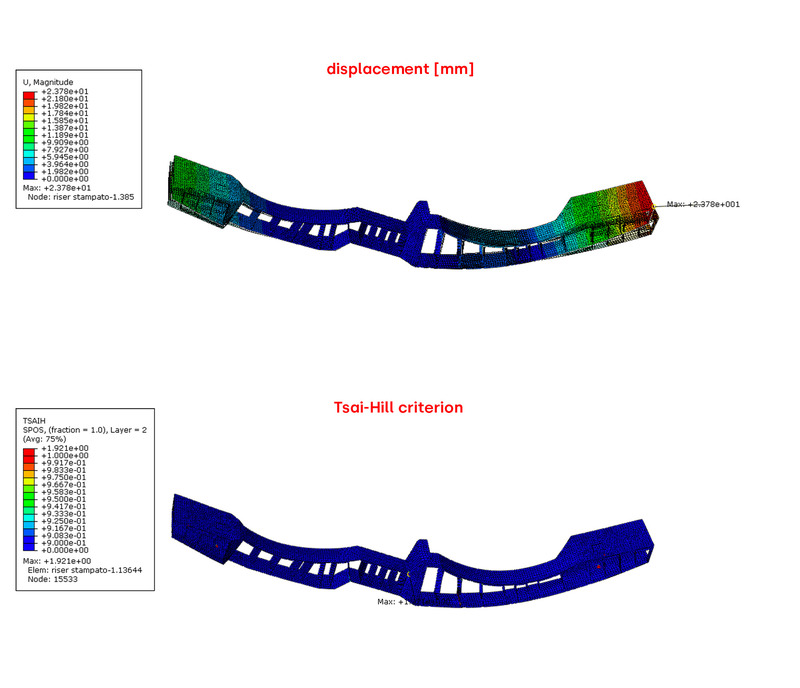 In order to perform a simulation with a certain safety range, a draw weight of 200 N has been considered. The entire riser, weighting 380 g, was then manually laminated with a carbon fiber twill textile in order to increase stiffness of the riser, in particular that of the inner skeleton and the limb pockets, likely expected to represent the weakest regions of the riser. The final weight of the riser is now 550 grams, compared to traditional metal alloy riser weighting around 1200-1400 grams and professional carbon fibers one weighting around 600-700 grams. 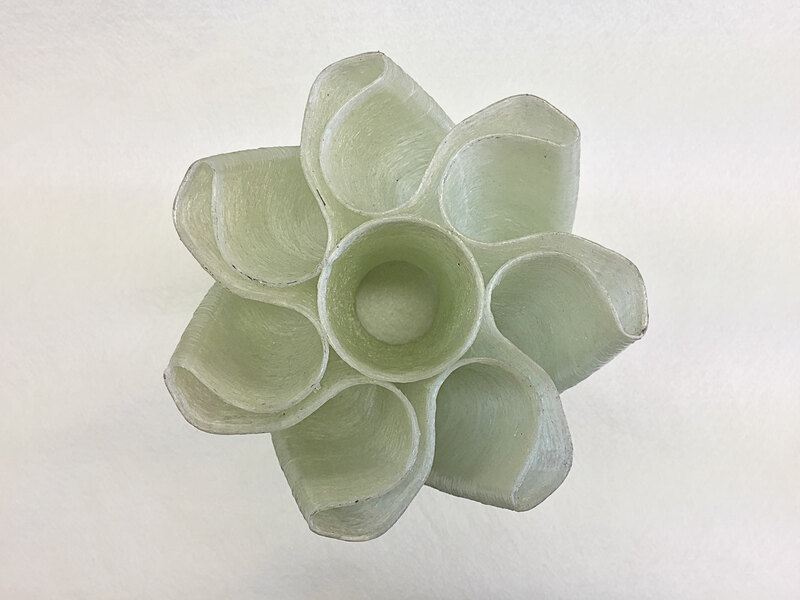 moi uses a proprietary additive manufacturing technology, Continuous Fiber Manufacturing - CFM - capable of 3D print high performances thermosetting composites parts combining robotic intelligence with digital fabrication. Every object can be different from the others, and its shape shall not rely on mold constrictions. 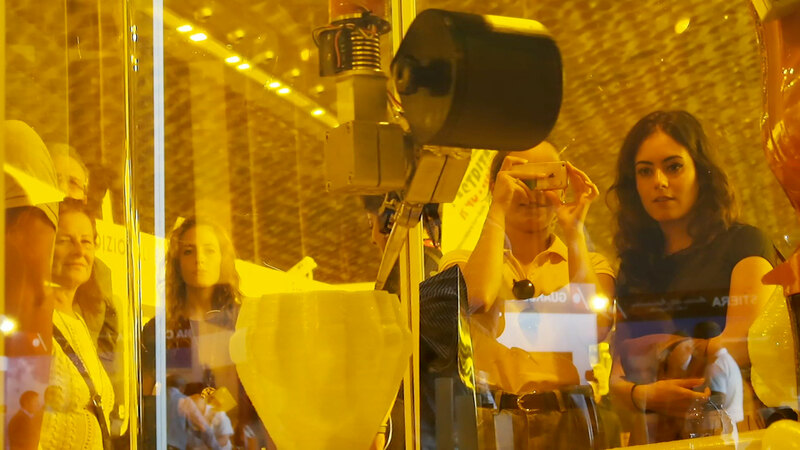 This opens new possibilities for the production of unique objects tailored on the beneficiary's needs. Internal reinforcements can be designed to sustain the loads. They will be realized congruently to the additive manufacturing process, overcoming compatibility problems. 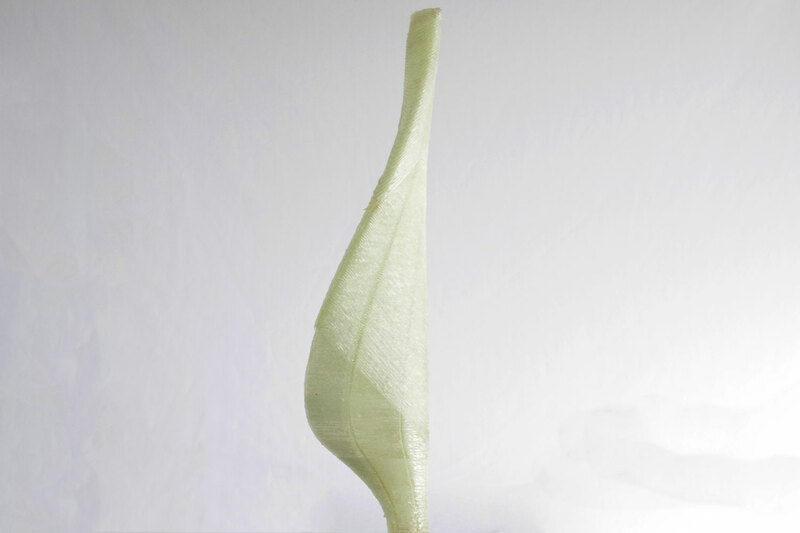 Thanks to smart optimization algorithms, location and orientation of the fibers are calculated to obtain the maximum performance using the minimum material, reducing wheight. Different fibers of different materials (e.g. glass, carbon, aramid, bamboo, etc. ), size and characteristics as well as different resins, can be used on the same manufactured part. Industrial robots exist in various sizes and payloads, and they can be combined with 3, or more, axis gantry machines to reach unimaginable spans and movements freedom. moi indruduces the extreme mechanical performances of advanced thermosetting composite materials to additive manufacturing. 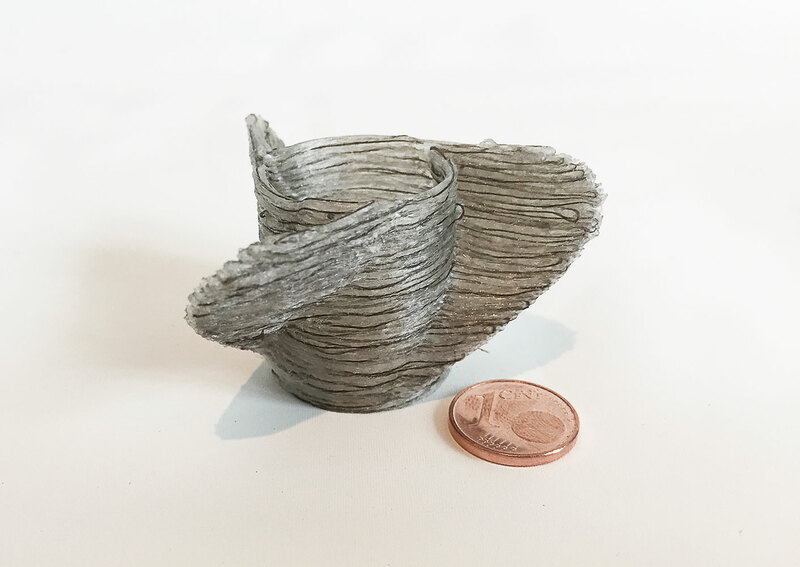 moi is able to 3D print fibers of various size and nature as well as different resins combining chemical and physical characteristics. Thermoset composites are being specified for wings, fuselages, bulkheads, and other applications in commercial, civilian and military aerospace applications. Composites are now being used in vehicle and equipment applications, including, panels, frames, interior components and other parts. 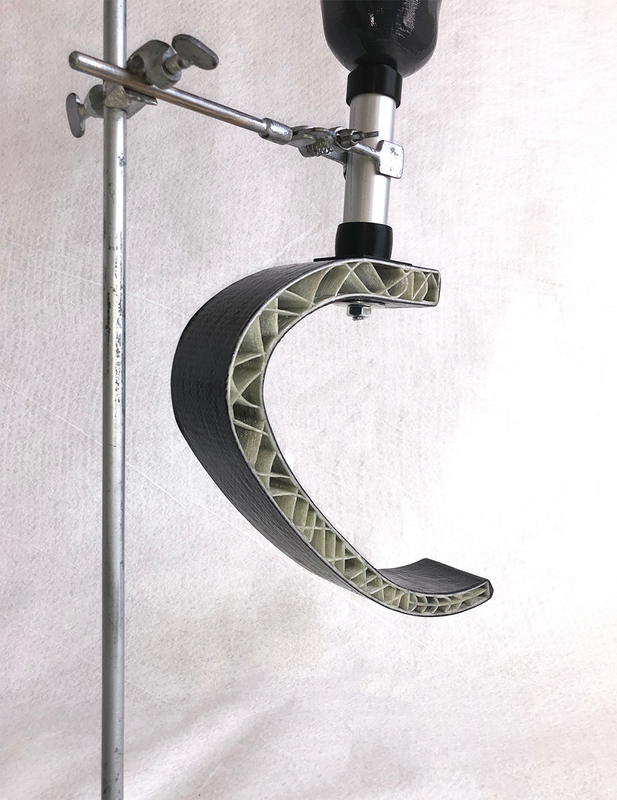 Thermosetting composites are used for external and internal prostheses thanks to their mechanical performances on weight ratio and chemical resistance. Some composite infrastructure applications include buildings, roads, bridges and pilings. Thermoset composites are replacing many traditional materials for home and offices architectural components including fixtures, doors, wall panels, roofing, window frames, moulding, vanity sinks, shower stalls and even swimming pools. Composites are ideal for applications in corrosive environments, such as chemical processing plants, pulp and paper converting, oil and gas refineries and water treatment facilities. With strong dielectric properties including arc and track resistance, thermoset components include substation equipment, microwave antennas, standoffs and pole line hardware and printed wiring boards. 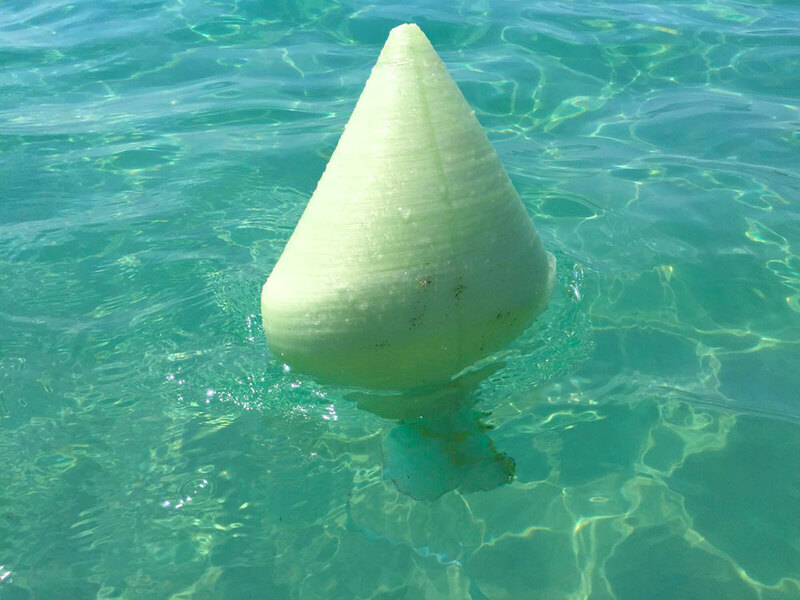 With their corrosion resistance and light-weighting attributes, marine composite applications include boat hulls, bulkheads and other components for military, commercial and recreational boats and ships. 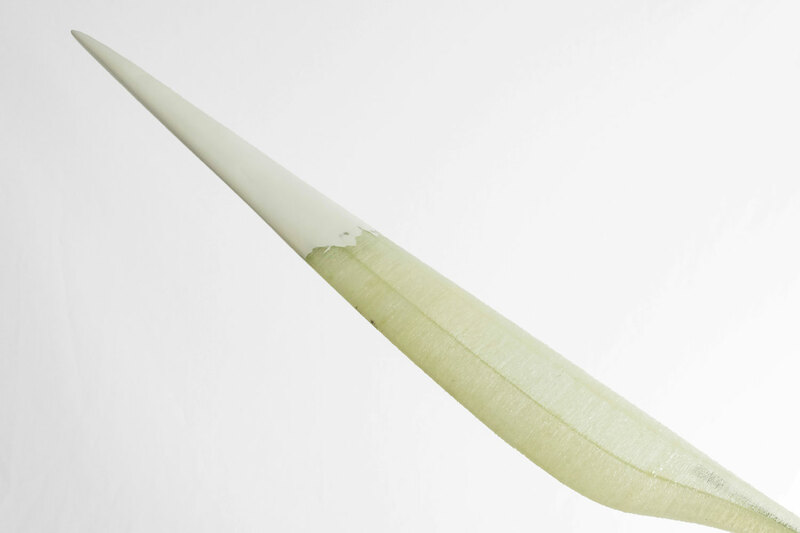 From baseball and hockey to golf, tennis, and cycling, composites are widely used in sports equipments thanks to their performances. Shorter lead times, the ability to produce complex geometries, and lower costs, enable the fabrication of numerous individual tools that support the assembly line, e.g. composites molds. Submit your infos to contact moi and download the brochure. moi will get back to you as soon as possible. moi composites is a spin-off of the Politecnico di Milano university.